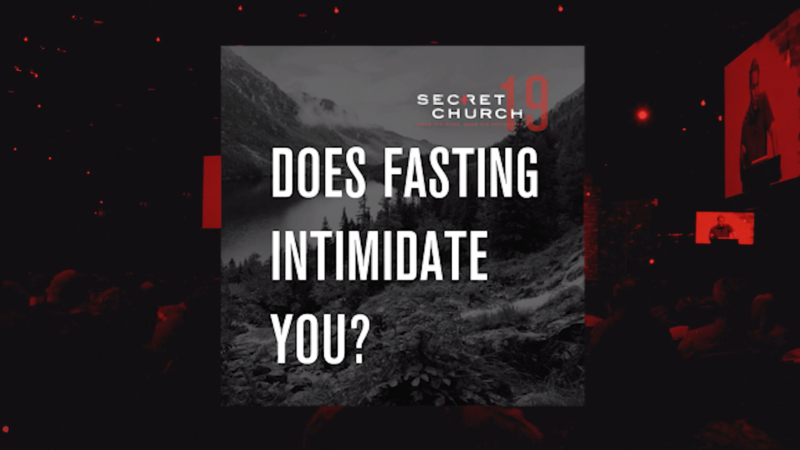 Many people associate fasting only with dire and great troubles, and there are certainly examples of that in the Bible. But the Bible also says that fasting may be an act of sheer devotion to God. Fasting can be an expression of finding your greatest pleasure and enjoyment in life from God. That’s the case when disciplining yourself to fast means that you love God more than food, that seeking Him is more important to you than eating. This honors God and is a means of worshiping Him as God. It means that your stomach isn’t your god as it is with some (see Philippians 3:19). Instead it is God’s servant, and fasting proves it because you’re willing to sublimate its desires to those of the Spirit. Christians throughout history have fasted for this purpose in preparation for the Lord’s Supper. In addition to the elements of repentance and humility before God in this kind of fast, it is also intended to help the person focus on adoring the One who is represented in the Supper. Another way of fasting to express love and worship to God is to spend your mealtime in praise and adoration of God. A variation is to delay eating a particular meal until you have had your daily time of Bible intake and prayer. Just remember that your fast is a privilege, not an obligation. It is the acceptance of a divine invitation to experience His grace in a special way. If you can’t fast with the faith that you will find more satisfaction and joy at that time than in delaying a meal, then freely eat in faith first (Romans 14:22–23). But may we yearn for days when God will cause us to crave the spiritual banquet of worship more than any smorgasbord. 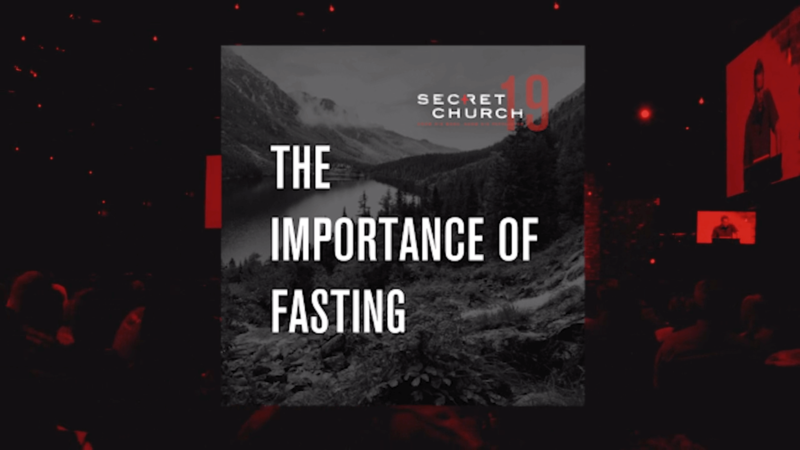 Fasting must always have a spiritual purpose—a God-centered purpose, not a self-centered one—for the Lord to bless our fast. Thoughts of food must prompt thoughts for God. They must not distract us, but instead remind us of our purpose. Rather than focusing the mind on food, we should use the desire to eat as a reminder to pray and reconsider our purpose. There is no doubt that God has often crowned fasting with extraordinary blessings. Biblical, historical, and contemporary testimonies bear witness to God’s delight in providing unusual blessings to those who fast. But we should be careful not to have what Martyn Lloyd Jones called a mechanical view of fasting. We cannot manipulate God to do our bidding by fasting any more than we can by any other means. As with prayer, we fast in hope that by His grace God will bless us as we desire. When our fast is rightly motivated, we can be sure that God will bless us, but perhaps not in the way we wanted. David Smith has it right. Any blessing which is bestowed by the Father upon His undeserving children must be considered to be an act of grace. We fail to appreciate the mercy of the Lord if we think that by our doing something we have forced (or even coerced) God to grant that blessing which we have asked for. . . . All of our fasting, therefore, must be on this basis; we should use it as a scriptural means whereby we are melted into a more complete realization of the purposes of the Lord in our life, church, community, and nation. While fasting recently over concern for the work of God in the church I pastor, I began to pray about several critical matters. Suddenly I realized that while I thought I was praying in God’s will about these things, it was possible that my understanding of things needed readjusting. So I asked the Lord to show me how to pray according to His will on these matters and to grant me contentment with His providences. 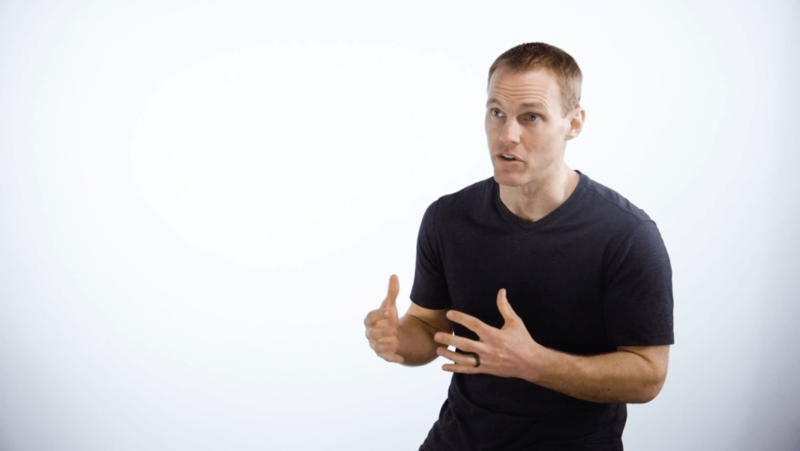 This, I think, is what Smith meant by fasting being “a scriptural means whereby we are melted into a more complete realization of the purposes of the Lord.” Fasting should always have a purpose, and we must learn to elevate His purposes over ours. God-centered fasting is taught in Zechariah 7:5. A delegation was sent from Bethel to Jerusalem to inquire of the Lord. At issue was the continuance of two fasts the Jews had held to commemorate the destruction of the Temple. For seventy years they had kept these fasts in the fifth and seventh months, but now they wondered if God wanted them to continue the fasts since they had been restored to their land and were building a new temple. The Lord’s response to them was, “Ask all the people of the land and the priests, ‘When you fasted and mourned in the fifth and seventh months for the past seventy years, was it really for me that you fasted?’” In reality, these fasts had become empty rituals, not God-centered experiences. Matthew Henry’s comments on this passage are useful for our own fasting. Let them all take notice that, whereas they thought they had made God very much their Debtor by these fasts, they were much mistaken, for they were not acceptable to Him, unless they had been observed in a better manner, and to better purpose . . . . They were not chargeable with omission or neglect of the duty, . . . but they had not managed [it] aright . . . . They had not an eye to God in their fasting. When this was wanting, every fast was but a jest. To fast, and not to fast to God, was to mock Him and provoke Him, and could not be pleasing to Him. If the solemnities of our fasting, though frequent, long, and severe, do not serve to put an edge upon devout affections, to quicken prayer, to increase Godly sorrow, and to alter the temper of our minds, and the course of our lives, for the better, they do not at all answer the intention, and God will not accept them as performed to Him. Before we fast we must have a purpose, a God-centered purpose. But even at our best we do not deserve what we desire, nor can we force God’s hand. Having said that, however, let’s balance that truth with the incontestable promise of Jesus in Matthew 6:17–18, “But when you fast, put oil on your head and wash your face so that it will not be obvious to men that you are fasting, but only to your Father, who is unseen; and your Father, who sees what is done in secret, will reward you.” God will bless a biblical fast by any of His children. And whether or not you receive the blessing you hope for, one thing is sure: If you knew what God knew, you would give yourself the identical blessing that He does. And none of His rewards is worthless. David R. Smith, Fasting: A Neglected Discipline, p. 44. Matthew Henry, A Commentary on the Whole Bible, vol. 4, p. 1478.